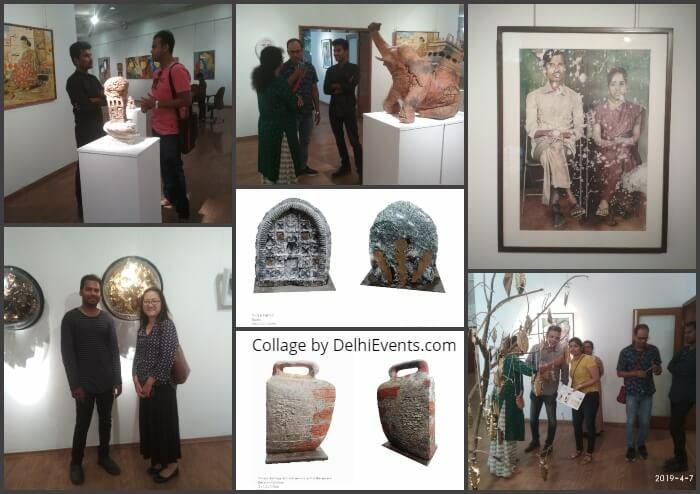 Event Description : ART EXHIBITION "Core 19" group show of sculptures, paintings, installations by 6 contemporary artists. I Captivated Fragility, antique expression, archeological feelings from which i collect found materials in my various places in my traveling and surroundings in the way my observes my imagination develops the form and expression into Indian traditional and antiquity sculptural form on found material. They serve as archetypes that transcend and context of their naturality create sculptures that explore spiritual truth through simplicity and beauty. recycled materials to bring permanence and radiance to the forms, maximize the interplay of light ,shadow and weight in three dimensional space. I compelled to find the gesture that capture the essential meaning of a story and speaks to me on multiple levels I done my sculptures in terracotta medium to bring permanence to the forms and to maximize the interplay of my handling and weight in three dimensional space developed and mixed of centuries, it is defined by its antiquity.